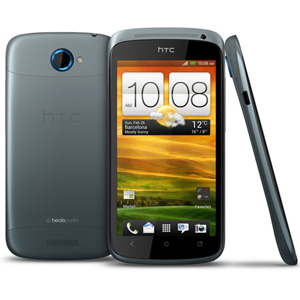 The HTC One S is the little brother to the flagship One X in dimensions, screen resolution, and screen size. Sporting a qHD Super AMOLED display with a resolution of 960x540, it falls a tad short of its bigger brother's 4.7" 720p Super LCD2 display. However, it crams its speedy Snapdragon S4 and a full gigabyte of memory into a package that is a mere 7.9 mm thin--significantly more svelte than its bigger brother. If that's not enough, it features an aluminum casing that is either anodized or treated with Micro-Arc Oxidation, depending on color choice. All times are GMT +3. The time now is 00:30.